Pilgrimage is an opportunity to awaken to the wonder and beauty of the world around us. In breaking from the daily routine, we are able to move out of our familiar ruts in order to re-examine our relationship with the mystery of Life. Our pilgrimages support opening and deepening awareness to the present moment, to our bodily senses, and to expanding conscious relationships with wild Creation. After two very successful summers of pilgrimage in 2017 and 2018 along waterways in New England, we are thrilled to be able to continue this wonderful immersion in the spiritual practice of living in right relationship with the natural world! In May & September 2018, Kairos Earth partnered with the Diocese of Rhode Island to offer two 3-day pilgrimages along the Wood River. While the river was aptly named and travel was often slow, the pilgrims were able to have a transformative experience while finding the sacred in nature. Kairos Earth also offered a 3-day pilgrimage along the Connecticut River in July, supported by the Dioceses of Vermont and Western Massachusetts. It was wonderful to come again to a portion of our previous-paddled Connecticut River — with both new pilgrims and several returning pilgrims. Water is central to life, and living, flowing rivers have played an integral role in ecological, social, economic, and spiritual practice worldwide since time immemorial. The Connecticut River is a prime example of a river carrying the lifeblood of a region. Over 40-days in the summer of 2017, the River of Life: Connecticut River Pilgrimage consisted of a core group of “river pilgrims” who journeyed the full length of the Connecticut river, hiking or paddling the 410-miles from the headwaters in northern New Hampshire to where the river joins Long Island Sound in Old Saybrook, CT, plus local river’s-edge communities who participated in shore-based events that drew attention to the beauty and challenges — ecological & economic, social & spiritual — along the waterway. The River of Life: Connecticut River Pilgrimage was sponsored by the Episcopal Dioceses of New Hampshire, Vermont, Western Massachusetts, Connecticut, Rhode Island, Massachusetts, and Maine, in partnership with Province I of the Episcopal Church, the New England Synod of the Evangelical Lutheran Church in America, and Kairos Earth. What is sacred about this place? What does it mean to treat this place as sacred? Covering more than 2,500 miles on a bicycle, the Sacred Places, Sacred Spaces Pilgrimage took Chelsea to landscapes across the country to meet with religious leaders, conservationists, and dedicated community members in order to interview them and to ask to hear their stories and reflections on how they are connected to the surrounding landscape. Pilgrimage for Earth was an opportunity to participate in healing the Earth community through undertaking a sacred journey – a pilgrimage – from loss to hope. In a time when climate change, mass extinction, and other environmental crises threaten people and other forms of life, Pilgrimage for Earth enacted the healing of the world through liturgy. In the original Greek, liturgy means “the public work” – communal action that both ritually and practically transforms and heals participants and the world. Through experiences including tree planting, guided meditation, singing, silent reflection, engaged conversation, and celebrating the hope and promise of new life, Pilgrims worked to transform their relationship with Earth and cultivate an active spiritual discipline of environmental stewardship. Activities crossed two states, five locations, and featured six liturgical services over the course of four days. Rooted in the Christian tradition of death and rebirth as exemplified in Easter – itself a transformation of loss into hope – the Pilgrimage welcomed people of all faiths and traditions. 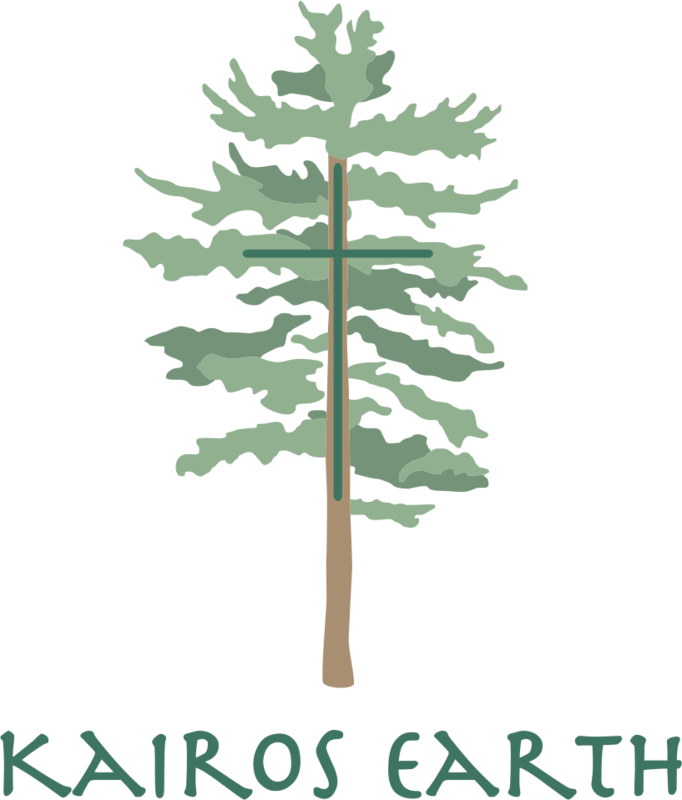 The Pilgrimage was a project of St. James Episcopal Church of Woodstock VT, and Church of the Woods/Kairos Earth of Canterbury, NH – with support from the Episcopal Dioceses of Vermont and New Hampshire.